A total of €5,989,795.25 was recovered between 2014 – 2017, an increase of 3.24% since last month. In 2017, the largest amount of cash recovered was in Estonia with a total amount of €485,862.07, an increase of 13.5% on the absolute amount since last month. 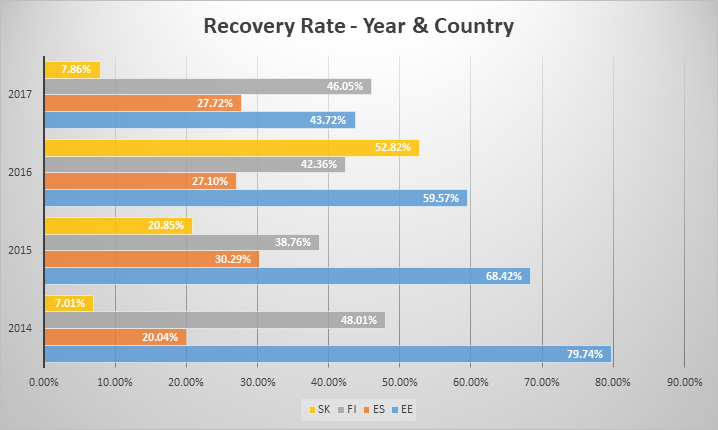 However, the highest rate of recovery is still visible in Finland at 46.05% and a total of €343,385.09. It’s important to remember that these statistics will change over the coming months, we explain why in the next section. Historically, recovery rates have always been the highest in Estonia. Take 2014 as an example, the rate for this period is 79.7% and a huge €976,405.55 recovered. 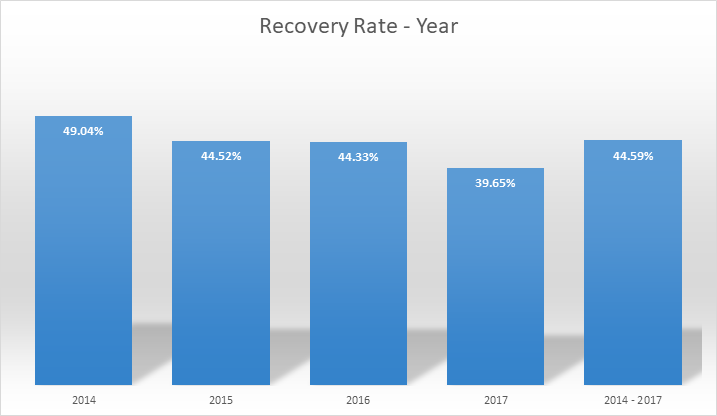 Looking backwards from 2017, you can see the rate of recovery increase over each year in Estonia as more time is allowed for the cash flows to come in.